Anyone that has experienced a fire, flood or a huge storm knows just how upsetting such an event can be in their life. But having to sort out all the mess left behind makes matters many times worse! Most notably, if you are the one that has to handle the time consuming, energy sapping and frustrating process of handling your claim through your insurance company! But did you know that by engaging the services of highly trusted and respected loss assessors, Cherry and Griffiths you could remove all this worry, hassle and bother? The Loss Assessors Wakefield Clientele Have Faith In! Residential, industrial and commercial clients right across Yorkshire from Bradford and Leeds to Wakefield and Sheffield have benefited from our insurance claims assistance for flood, fire, burglary, storm, impact and other losses. Cherry and Griffiths possess a superb team of experts who exploit their vast claims knowledge and experience to ensure that all your damage is claimed for under your policy so you get the best possible payout! The Loss Assessors Huddersfield Customers Trust! 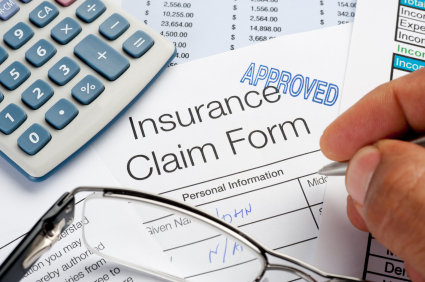 In addition, insurance claims consultants and reputable loss assessors like Cherry & Griffiths look after their clients interests by making sure that they are allowed to make a free choice of restoration services contractors from the Bradford, Leeds, Wakefield, Sheffield, Rotherham or Doncaster areas. And for additional comfort and reassurance , Cherry and Griffiths are authorised and regulated by the Financial Conduct Authority No. 502821 and we are also full members of the Chartered Institute of Loss Adjusters www.cila.co.uk. From a handy location in Baildon, our Yorkshire office is ideally situated to provide its services to clients located in Bradford, Leeds, Wakefield, Sheffield, Rotherham or Doncaster. If you are part way through or at the start of your claims process, why not get in touch? Many clients in Bradford, Leeds, Wakefield, Sheffield, Rotherham and Doncaster have benefited from our expertise to gain the best possible entitlement from their insurance cover - call now on 08448 223 623. Richard previously worked for insurance companies and loss adjusting firms, dealing with domestic and commercial major loss claims prior to joining Cherry and Griffiths. 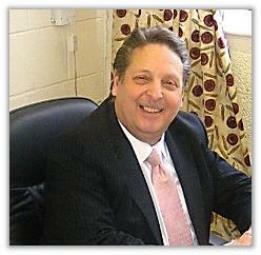 Nigel is a well known figure in Yorkshire loss assessing circles with over 25 years experience. 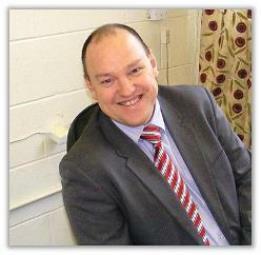 His particular forte is commercial account liaison and support. Cherry and Griffiths are loss assessors and claims consultants serving Leeds, Bradford, Wakefield, Huddersfield, Sheffield, Rotherham, Doncaster and the whole of Yorkshire. We help clients obtain a full and fair settlement to their insurance claim as a result of losses incurred from fires, floods, storms and theft.